Is the truth really out there? 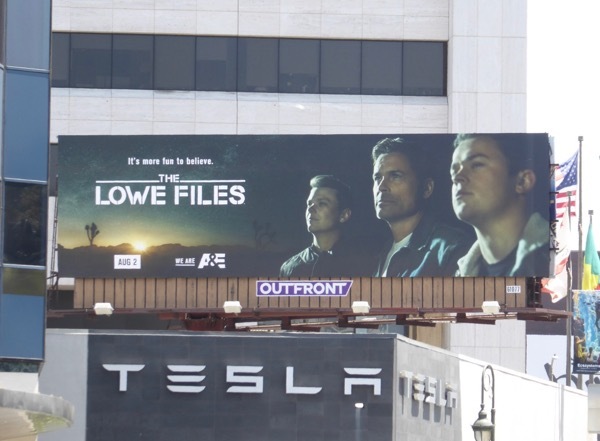 And more importantly, is Rob Lowe the man to help you find it? 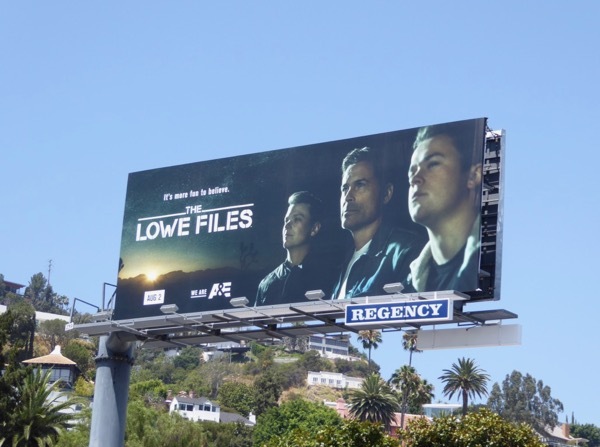 The answer apparently is yes, as the actor is back on the small screen with his new TV show for A&E, The Lowe Files. 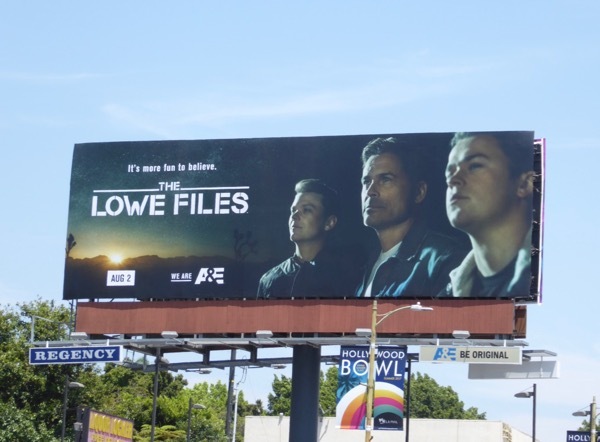 Part of A&E's move away from scripted dramas to more reality television offerings, the series follows Rob Lowe and his sons, Matthew and John Owen, as they enjoy some quality father-son bonding time investigating the paranormal, unsolved mysteries and conspiracy theories across America. 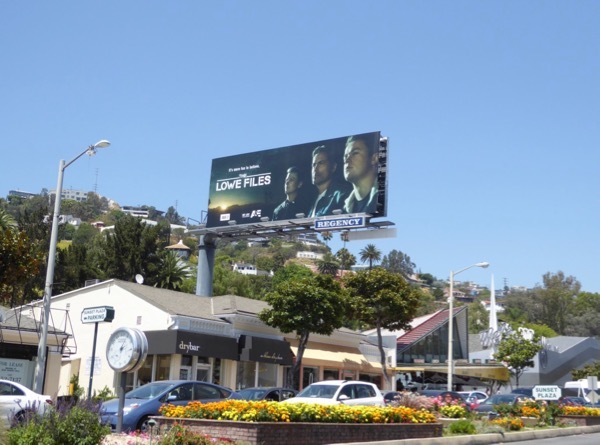 These series launch billboards were snapped along the Sunset Strip and Santa Monica Boulevard from July 18 to July 21, 2017. 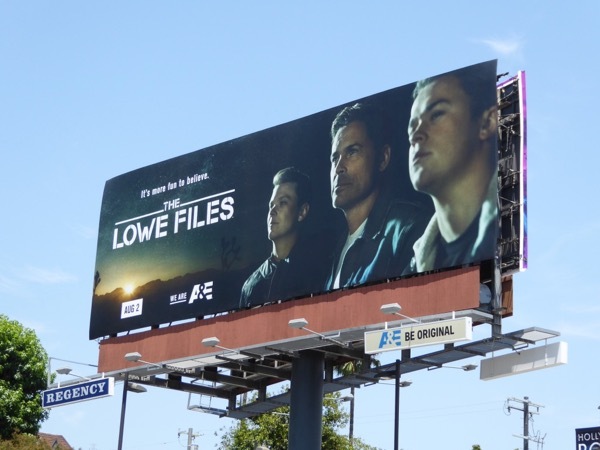 Fans of Rob Lowe can also enjoy these TV billboards for The Grinder, these Killing Kennedy billboards and these Prosecuting Casey Anthony billboards. In a world which seems to have gone mad in recent months, it's more fun to believe in things that go bump in the night and mythical creatures like Bigfoot, than reality at times.